If you know me in person, or even if you know through online mediums it might not be a surprise to you that I love geometric shapes. 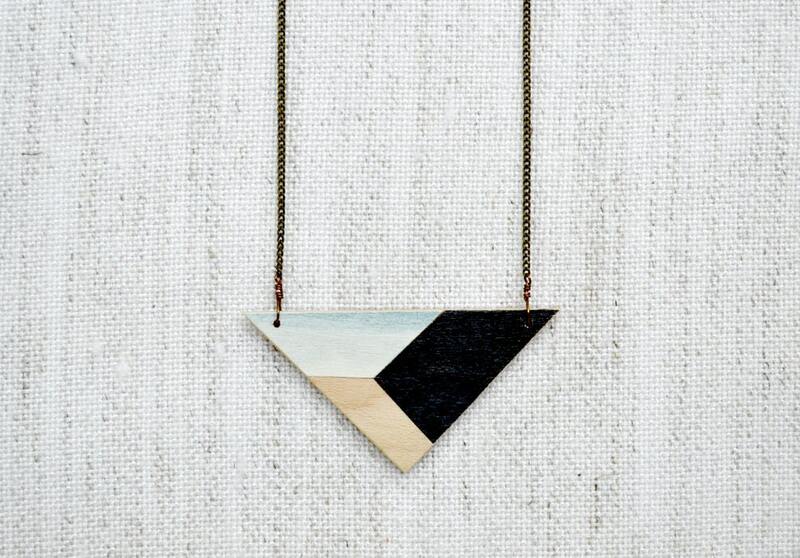 That is why when I spotted these handpainted geometric shaped necklaces by artist Meghann Rader I had to let her know right away how in love I was! I LOVE that top triangle. Something very modern yet very 20s/30s art deco, too! Love those jewelry! I want them! I love your denim shirt. It looks so cool with that amazing jewellery. I also have black hair, and love black hair. Please feel free to check out my new blog that I started this week. Excellent product with modern and innovative idea. I can feel that the product cost is not to much. All of them I like The tangle shape necklaces. These necklaces are great! 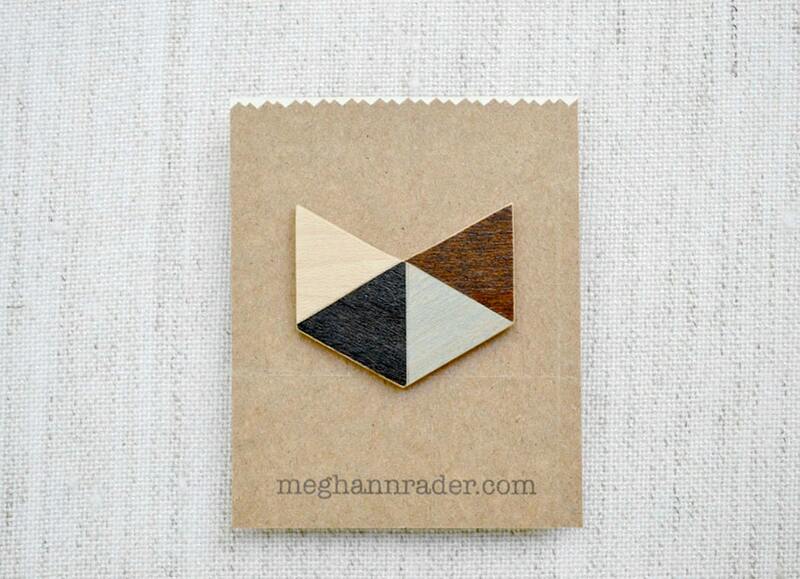 I have a friend who is obsessed with triangles...might have to look at purchasing something! 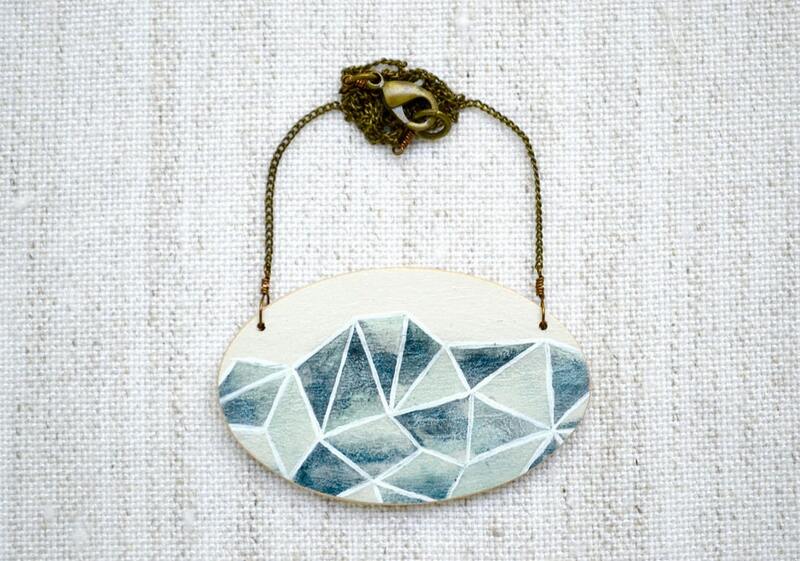 Your hand printed geometric necklace shape is very nice. I love it really. That necklace is amazing! I love each one you showed!